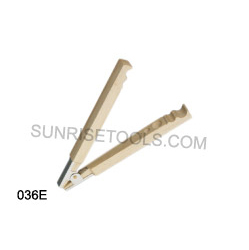 Description :-This wooden Ring Holding Plier holds large and small rings on the outside in either of two sets of grooves and makes it easy to work the insides of rings. A light weight Jig, handy tool for a variety of operations. Description :-This ring clamp nylon with wedge hold rings and other jewelry pieces securely while filing, polishing, stone setting, etc. 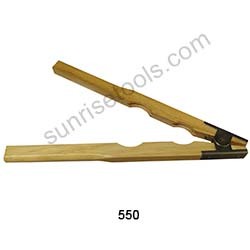 The wedge supplied is made of the same nylon tough material and can be driven in hard for a tight grip. 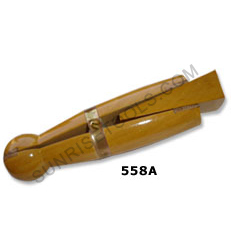 Description :-This wooden ring clamp with Wedge used by Jewelers everywhere for holding rings and other things while working. It has leather inserts to protect the ring surface. 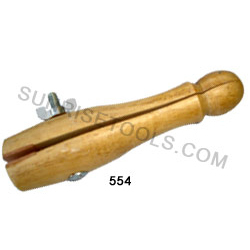 Description :-This wooden ring holding vice with fly nut features leather lined jaws for holding rings and other objects securely while polishing, filling etc. Made from high quality wood and durable. 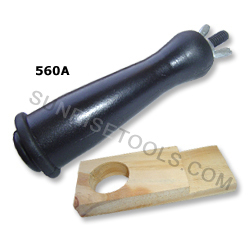 Description :- Wooden Ring Holding Vice is very useful tools for holding rings for processing. Description :-This black nylon ring holding vice features leather lined jaws for holding ring and other objects securely while polishing filling etc. and has fly nut at side for opening and closing jaws easily. 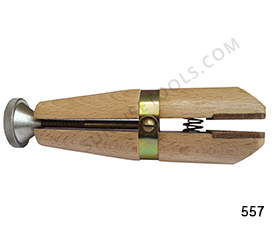 Description :-This wooden ring vice with fly nut constructed of hardwood and ideal for holding the rings and other small components for polishing, repair etc. 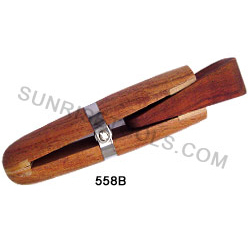 Description :-This European style ring clamp with parallel jaws made of hardwood and features lined jaws for preventing jewelry damage. Great for stone setting, ring polishing and repair. 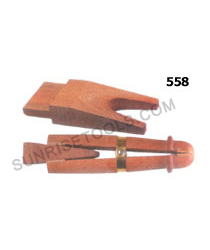 Description :-This mahogany Ring Clamp with Bench Pin allows the user to rotate rings and other items in virtually any direction for ease of work. 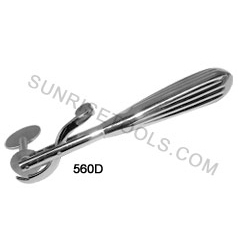 Great for holding rings and other items while filing, polishing and stone. 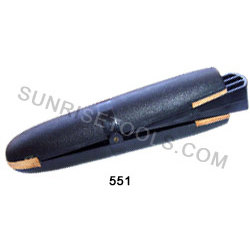 Also it features thick leather jaws for maximum grip, along with a metal axel for long life. 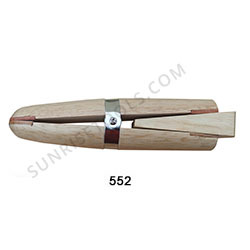 Description :- This is the standard wood ring clamp used by Jewelers everywhere for holding rings and other things while working. Pivots in the middle, allowing a firm grip with the leather jaws. Description :-This ring clamp is made of fine polished mahogany for strength feel and long life. 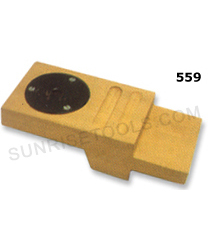 Ideal for holding rings and other small objects while filing, grinding, polishing etc. Also it Includes thick leather jaws, a metal pivot and extra strong band. 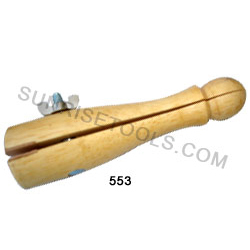 Description :- This unique tool allows you to access the entire circumference of your ring. It has nine assorted plastic sleeve inserts marked clearly. This firmly grips the ring from the inside without marking which allows you to work on the outside of the ring. 560 Ring holder with 9 plastic Dies. 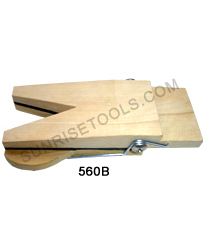 Description :- This versatile ring clamp fits securely into solid hardwood bench block for optimum stability. 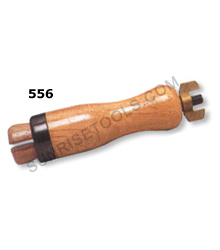 Used for holding rings and other items while filing, polishing, grinding, setting, etc. 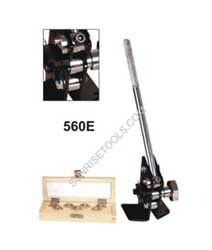 Description :- This is a must have tool for Jewelry making, woodwork crafts and hobby. 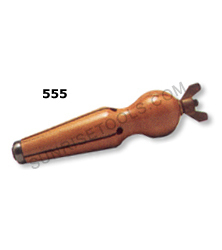 This Bench Pin is the perfect tool for holding metal, wood or plastic for easy sawing. 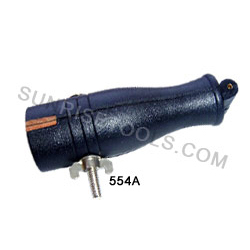 Description :- This superior quality ring cutter is lightweight with knurled non-slip handle. Slide the jaw between the ring and finger and then turn the handle to cut the ring shank. Rugged and efficient ring cutter. 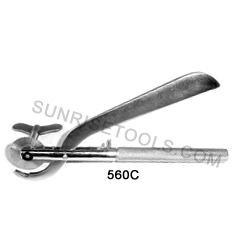 Description :- This is an essential tool for jewelers that quickly remove rings from fingers. It has a safety lever that protects the finger from the cutting blade and the twisting thumb screw allows the razor sharp saw to cut rings.